This necklace is my latest creation. 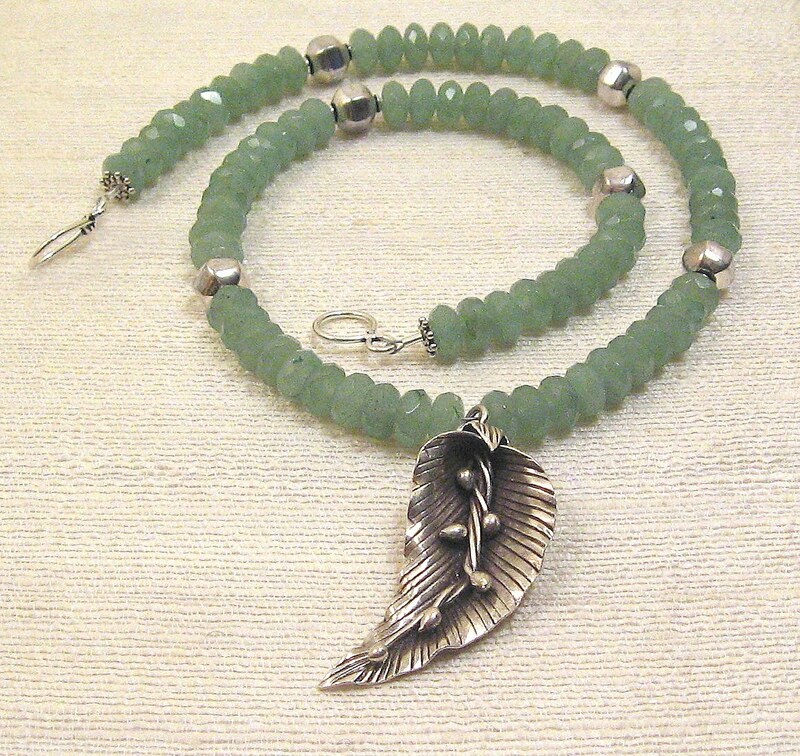 The stones are faceted Aventurine rondelles. The faceting adds a sparkly affect to the necklace. The flowering leaf reminds me of the sweet peas that used to bloom at my grandmothers. They don't look the same, but they "feel" the same. All the Sterling Silver is made by the Hill Tribe in Thailand. To me this is a soft understated piece with a promise of more to come.